So is it recorded in The Dhammapada, a collection of sayings of the Buddha who lived 2600 years ago. Are they both right, that we are mind over matter? The problem, he says, is that the mind is divided into two parts that often conflict. We are like riders on the back of elephants. Our conscious and rational mind has only limited control of what the elephant beneath us does. The elephant represents our gut feelings, visceral reactions, emotions and intuitions. The rider is like the ‘press agent’ for the President (i.e. the elephant) who rationalizes whatever the president says. The elephant and rider each have its own intelligence, and when the two work together, they reveal human brilliance. However, they don’t always work together. As we approach the High Holidays, we Jews turn and return, break from habits that keep us from change and growth, and respond in new ways to those around us, to events in the world, and to our own lives. Haidt reminds us that when the Rider and the Elephant are at cross purposes – we ought to retrain the elephant, and that’s not so easy. The elephant is wired by nature, nurture and ingrained patterns and it doesn’t seem that it matters what our conscious minds, our reason and good yetzer (inclination) are telling us. 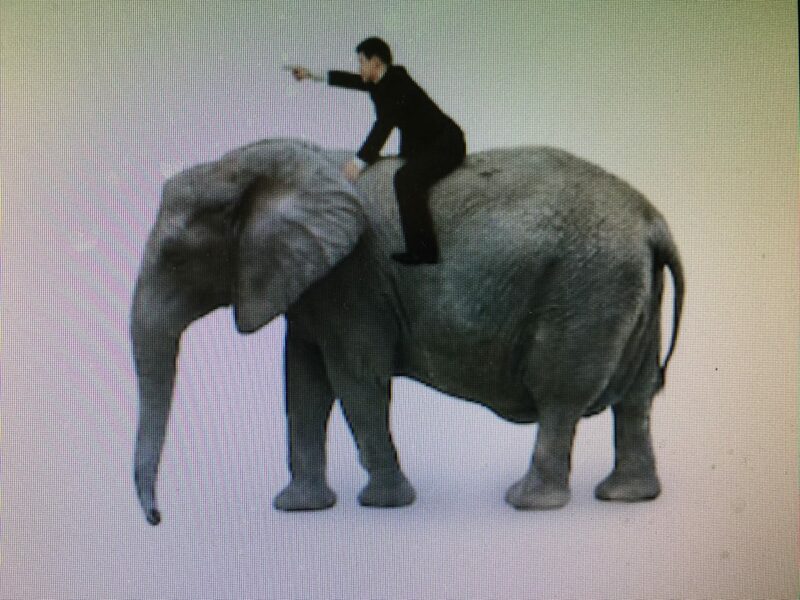 The rider often has little control over the elephant beneathe our legs. Haidt urges the rider to talk directly to the elephant. Was Shakespeare right that “There is nothing either good or bad but thinking makes it so”? Biochemical support – I’m not a psychiatrist, but those who think that drug therapy would be helpful should consult with qualified mental health professionals. Each strategy has its place. There’s no one means to effect t’shuvah. Change and growth don’t come suddenly. T’shuvah involves a deliberate step-by-step process taken over time with patience and perseverance. The elephant operates from a subterranean unconscious mishmash of forces. Given its size and weight, it’s likely that we may only be able to direct it forward slowly. What’s necessary is to retrain ourselves that we might become more optimistic and positive. “Life is what we deem it,” is the truth of t’shuvah. We CAN redeem ourselves, but it won’t be easy!